Are you looking for famous Indian desserts? 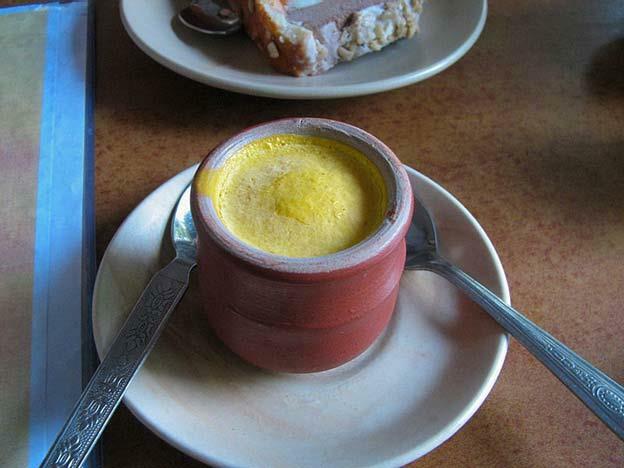 India has a variety of desserts varying from Kashmiri shufta to payasam. 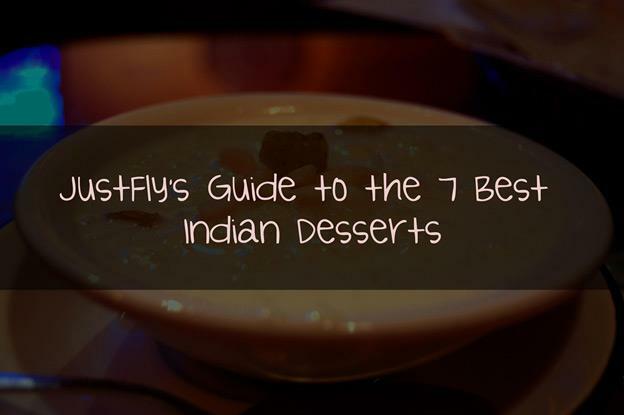 Here is JustFly's guide for 7 best Indian desserts to soothe your taste buds. The vast nation of India is found in South Asia and is known for its rich culture and history which dates as far back as 30,000 years ago. To describe the country's influence to modern civilization, the word "great" would definitely be an understatement. India has contributed so much to the world; clothing (the Indus Valley civilization first used cotton as clothing around the 5th to 4th millennium, BC), architecture, mathematics, and religion (Buddhism and Hinduism are believed to have originated from India) are only few of those things. Perhaps one of the most widely appreciated contributions of India is its culinary culture. The country is often referred to as 'the land of spices' due to the hundreds, if not thousands, of herbs and seeds that add tang to their dishes. Due to the geographical diversity of India, the range of agricultural produce is just as diverse. This has resulted to an exceptionally assorted culinary palette that Indians are so proud of. However, while a lot of Indian food does have a spicy zest, the country is likewise known for the its expansive carte of desserts. India has been cultivating sugarcane for thousands of years. In fact, the art of sugar refinery was invented in the country. 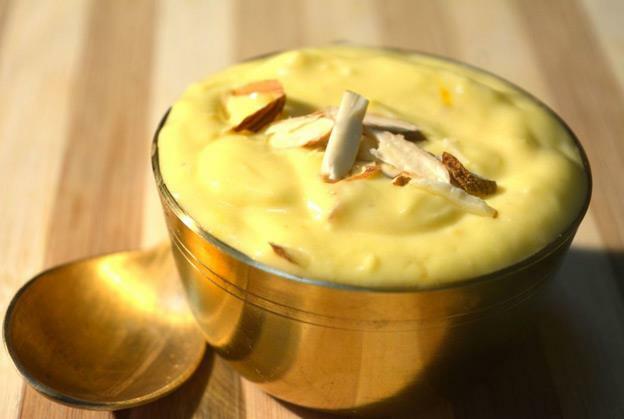 Today, with the help of online travel agency JustFly, we give you the 7 best Indian desserts. We hope you enjoy! Also known as Shikhrini, this Indian dessert is essentially made by straining yogurt on cotton cloth until it achieves a certain thickness in consistency. The result is called "Chakka" which is then mixed with sugar until the two are fully incorporated. Much like many other Indian desserts, the Shrikhand is flavored with nuts (usually almonds), cardamom, dried seeds, and saffron. This creamy dessert is refrigerated and is best served cold. A perfect dessert for a humid afternoon in India. 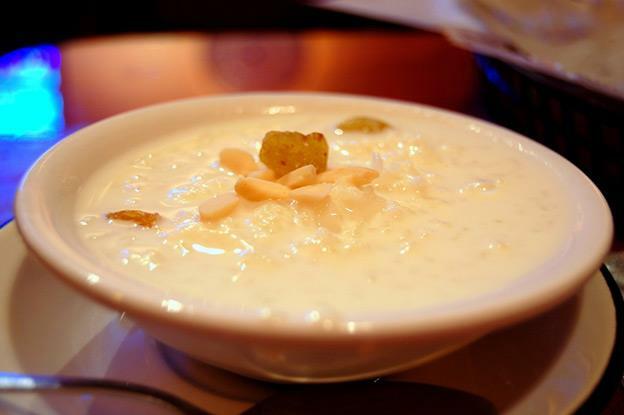 The Savaya Kheer originated from the Indian state of Punjab. It is made from vermicelli noodles, fruits (usually dried), various nuts and milk that had been spiced with cardamom. The kheer is refrigerated long enough for the mixture to settle and thicken. This dessert is often served during lunch or dinner. The Modak looks like Chinese dumplings, but instead of meat, this one is filled with grated coconut, jaggery — a hard non-centrifugal cane sugar that tastes like molasses. The soft outer wrapping is made from whole wheat or rice flour. There are two ways of cooking Modak, some people like it fried which results in a crispy outer shell that contrasts with the soft inner filling. The other method is by steaming it until the wrapping is cooked. The steamed version is called ukdiche modak and is often topped with or dipped in Ghee — a type of melted butter popular in India. 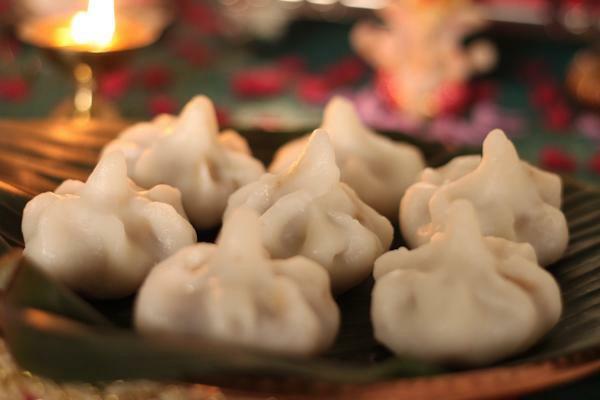 Modak is believed to be the favorite dish of Ganesha, the elephant-headed Hindu deity. 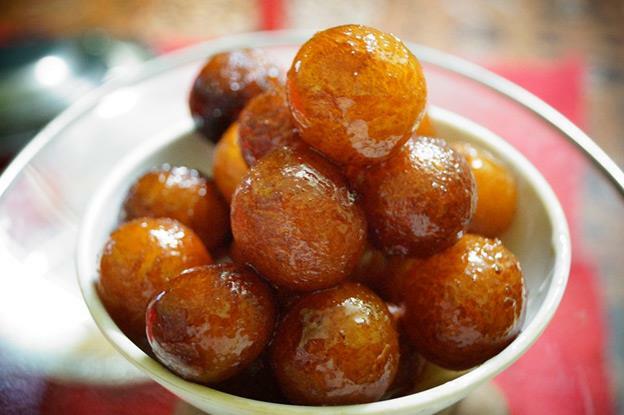 The Gulab Jamun may not be particularly native to India, as it is also found in other South Asian countries such as Pakistan, Nepal, Sri Lanka, and others. However, in India, this dish is made with milk solids made by boiling or simmering milk until it most of the liquid evaporates. The remaining product is called Khoa which is then mixed with dough. Then, the dough shaped into small balls, deep fried in low heat until it turns golden brown and then dipped in light sweet syrup. Rose water, saffron, kewra, and cardamom is often used to add a distinct Indian flavor. 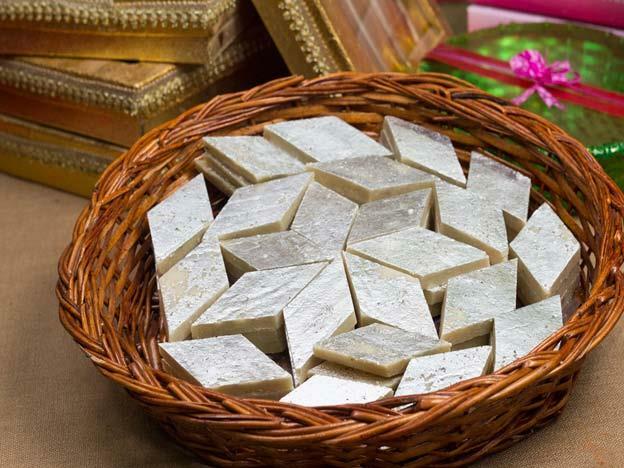 Identified by its unique appearance and eye-catching style of serving, the Kaju ki Barfi is often made by boiling milk with sugar until it thickens. Various sweet ingredients and a few delicate spices are then thrown in with the creamy mixture. It is then poured onto a shallow pan, flattened out and left to cool until it is firm enough. It is usually cut into diamond-shaped pieces, with the top decorated by Vark — an edible yet flavorless silver foil. The dish is served in such a way that makes it look like a silver star lantern. It is said that your visit to India is never complete until you get a taste of this authentic frozen treat. The Kulfi is perhaps one of the most popular dairy dessert not only in the country but also in the world due to its taste and texture. It is known as traditional Indian ice cream, but unlike those made in the West, the Kulfi is a lot denser because the mixture isn't whipped, thus no air is incorporated. This is why it doesn't melt as easily as regular ice cream. This frozen dessert is usually made by slowly heating cream or milk, while stirring constantly to prevent it from burning. When it becomes dense enough, the milk is cooled, mixed with flour, flavoring, some nuts and fruit, and is put into a canister. The canister is dipped in an ice and salt where it is left until the mixture is frozen. Also referred to as shonpapri, son papri, or patisa, the Sohan Papdi is known as a famous dessert from the northern part of India. 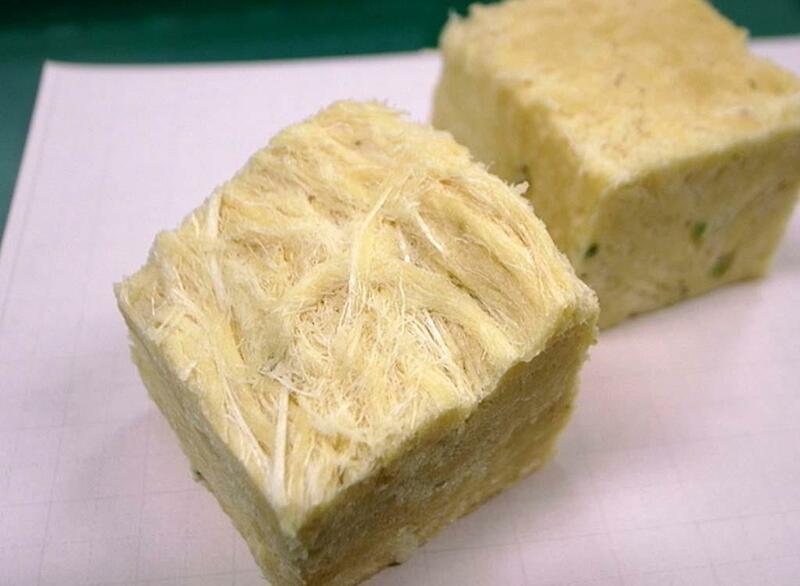 It is characterized by its flaky texture and yellow color. This crispy dessert is believed to have originated from either Rajasthan, West Bengal, Punjab, and Uttar Pradesh. The main ingredients of this dessert are milk, ghee, chickpeas, cardamom, sugar, and flour. It has a structure similar to string or thread, which may be likened to a denser, thicker version of fairy floss. The sweet desserts of India are only one of the countless reasons to visit this wonderfully diverse country. Travelers from around the world looking to try a unique culinary experience, this country is definitely a must-visit. What are you waiting for? Book a flight to India now by checking out JustFly.com. You may likewise check out these JustFly reviews to know more information about this online travel agency. Travel safe and travel happy! That last one is really intriguing. Sweet hair that melts in your mouth? I wanna try it!